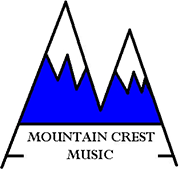 At Mountain Crest Music, we understand that finding the right music for your students can be difficult. As music educators ourselves, we know just have important it is for young musicians to have access to dynamic, educational pieces. With this in mind, we offer a variety of classical compositions created specifically for student orchestras. This original composition makes for an ideal teaching and concert selection for elementary-level students. All sections get their turn in the spotlight as the simple, yet catchy melodies are passed around the orchestra, giving each student a chance to shine. This is an arrangement of one of Rimsky-Korsakov's most recognized pieces and a familiar piece for many students and audiences alike. Bold and powerful, yet with only moderate technical demands, it is sure to be a hit at your next concert. "Serenade for Strings, Mvt. 1"
Tchaikovsky demonstrated his great skill in bringing out the singing quality of the string instruments in his Serenade. Now, young students can enjoy playing the flowing melodies from the first movement of this great classic. All instruments get their chance to shine in this grade 2 arrangement that will please students and audiences alike. From the heroic introductory theme to the last pizzicato note in the lower strings, this piece was written to make young strings sound their best. Using only easy rhythms and familiar pitches, this selection will make even groups with incomplete instrumentation sound full. "The Great Gate of Kiev"
Mussorgsky wrote this piece as the final movement of his cycle of piano pieces entitled Pictures at an Exhibition. Bold, dramatic, and fun to play, this piece is sure to be a hit with audiences and students alike. Great care was taken in this arrangement to retain the character of the original, yet avoid its difficult modulations and technical demands. Based on a theme used by Benjamin Britten for his "Young Person's Guide to the Orchestra," this piece will have immediate student and audience appeal. If you're looking for something to keep students excited and engaged, "Rondo" is the perfect fit. The "Handel Trilogy" incorporates the well-loved themes from the composer's "Concerto for Harp" into a three-movement suite for string orchestra. This grade level 2 piece would make an ideal selection for concert or contest use. "Reflections on an Original Theme"
This is a lyrical grade 2.5 selection that contains folk-like melodies that immediately appeal to students and audiences alike. This piece is similar in style to the composer's "Fantasia on an Original Theme" which has been chosen as one of the standard works for school orchestras in the book "Teaching Music Through Performance in Orchestra, Vol. 1." Cleverly crafted to capture the excitement of the original work but with limited technical demands, this arrangement of Wagner's "Ride of the Valkyries" would be the perfect final selection for your next concert. All parts can be played in first position. All sections get a chance to play the thundering melody! Three movements from "Water Music Suite"
This piece will make your upper elementary and early middle school orchestra students sound their absolute best. Using only very easy keys and rhythms, these familiar tunes will be enjoyed by students and audiences alike. Performing Saint-Saens' popular Marche Militaire Francaise is now possible for younger string orchestras. Maintaining the bold, majestic character of the original, yet avoiding its difficult keys and transitions, higher level middle school groups should have little difficulty with the technical demands. Because it sounds harder than it really is, high school groups may also enjoy performing the piece as well. March Triumphant is a grade 1.5 march that would work well as a concert opener. Each of the sections has a chance to shine with one of the catchy melodies before they are merged to form an exciting finale. Where the Country Begins In this hoe-down, all instruments get their turn to let their bows fly to the catchy melodies. Even though there is some use of the third position and double stops in the first violin part, it lies well on the instrument, making this a perfect piece to teach these skills. The Four Seasons: Allegro from Autumn This popular movement from Vivaldi's The Four Seasons is now available in an accessible arrangement for beginning level string orchestra. This arrangement of the popular standard features only modest technical and musical demands. * Sheet music available for prices ranging from $40 to $50. Please call for details.